Melanie Vritschan, founder of ICATOR, the International Coalition Against Electronic Torture and the Robotization of Living Beings, an avant-garde human rights organization dedicated to helping Europeans and others internationally who are currently coming forward in increasing numbers to report crimes being committed on their person such as covert implantation of microchips and covert assault with electromagnetic weapons, is featured in this informative interview. Relaying her own background in public relations and communications for various international groups including the European Space Agency, Melanie Vritschan reveals she is also a former marathon runner who has done much human rights work by running for various charities or human rights campaigns such as children’s charities and helping to raise funds to build homes for the homeless. Founding her organization as a human rights charity, Melanie responded to the calls of those reporting non-consensual implantation and remote experimentation with what the military calls “electronic weapons” by working to make connections with Universities, radiologists, physicists, and doctors to help victims get radiological scanning to confirm the veracity of their reports, assemble class-action lawsuits, and save the health and lives of victims. Not merely are Intelligence agencies and covert military project groups involved, she says, there are also private companies working as security and intelligence and Defense contractors who are currently, it appears, working contractually to clandestinely implant civilians in hospitals and private residences, as well as run long-term covert operations on them using electromagnetic weapons and neurotechnology, information that is corroborated worldwide by reporting victims, whistleblower scientists, and intrepid journalists. Much of this nefarious and harmful assault on civilians which translates to violations of basic human rights and constitutes major 21st-Century Crimes Against Humanity is currently being hidden under cover of Surveillance, as reported to President Trump and published here earlier. Scientists inclusive of Dr. Robert Duncan and Dr. Richard Alan Miller who have worked on various neurotechnologies that perhaps remain classified–but some of which are slowly being reported by military agencies and being commercialized by various companies such as Holosonic and Neuralink (with some (such as TMS) even being used by neurologists and psychiatrists in therapeutic settings)–such as Synthetic Telepathy, “Silent Talk,” Brain-Computer-Interfaces, Transcranial Magnetic Stimulation (TMS), and others, have stepped forward to confirm that remote radiation neurotechnologies exist, that neurobiological and electromagnetic weapons are being tested, and that it is possible if not highly probable that people reporting remote electromagnetic signals on their bodies today are indeed being non-consensually and invasively experimented on with these New Age neurobioweapons by military and Intelligence researchers. In a recent appearance on the III International Day Against Mind Control on February 8 on the Polish television channel NTV, on a STOPZET show honoring the pioneer work of the late Dr. Rauni Kilde, former Chief Medical Officer of Finland, in relaying information from Intelligence experts, military officers, and other whistleblowers attesting to such experimentation and describing how Intelligence agencies have been running harassive clandestine operations—often termed gangstalking, organized stalking, Zersetzung, or COINTELPRO– on civilians for decades, and which include covert RFID implantation and neurotechnology use, Dr. Duncan agreed that having worked for DARPA, CIA, the Army, Navy, and Department of Justice and researching this topic both inside and outside the government for 20 years, he might be considered one of the top experts on this subject. In the United States, where surveillance abuse by Intelligence agencies and the Department of Homeland Security is currently under critical scrutiny, former technical director of the NSA, Mr. William Binney and Senior Intelligence Analyst Mr. Kirk Wiebe are currently working with a group of human rights activists to sift through and analyze the reports of hundreds of Americans and civilians worldwide reporting their experiences of EMF neurotechnology victimization and assault in a survey. 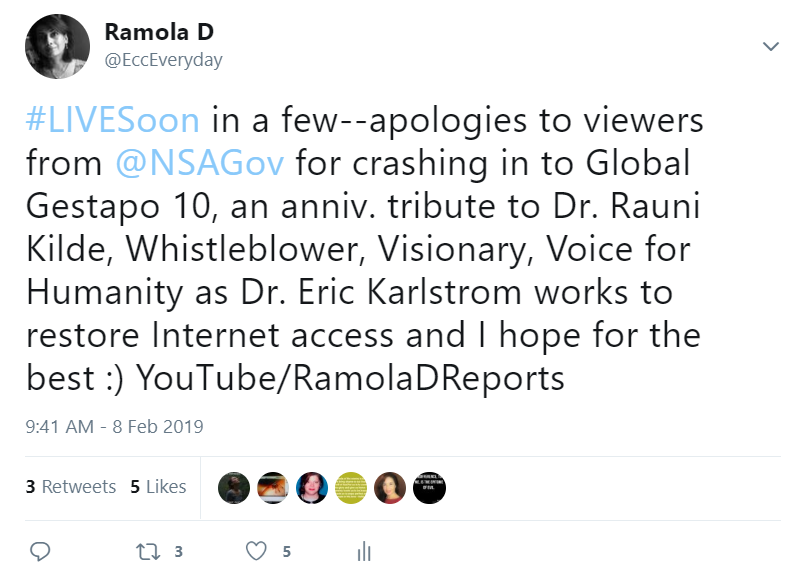 Former Intelligence Analyst from the NSA, Karen Melton-Stewart has reported the involvement of NSA Security, US Naval Security, and the FBI in organized stalking and Directed-Energy Weapon assault on civilians in interviews and articles widely. The use of electromagnetic weapons on civilians by the secretive Intelligence agencies has also been reported by NSA whistleblower Mark Novitsky and CIA whistleblower Cody Snodgres. Karen Stewart has also recently released a statement detailing the insurance fraud, ID theft fraud, and human trafficking of thousands of people wrongfully put under surveillance and rolled into lucrative non-consensual weapons-testing and neurotech experimentation by the Department of Homeland Security in a massive Terrorist Watchlist scam. 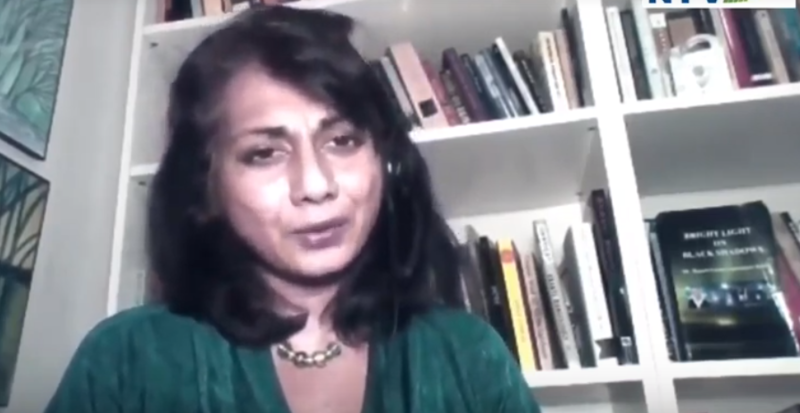 Further, testimonials of civilians reporting non-consensual, systematic assault with DEWs, V2K, and implantation are being collected by this writer at this site and the video channel, Ramola D Reports. Melanie Vritschan also details how the cutting-edge human rights advocacy she has been engaging in has come under inordinate attack. In a story that has reverberated worldwide and continues to resonate, she mentions how her newborn baby Amethyst, born last October, was removed from her care barely one day after her birth and separated by an emergency court order, by a group of psychiatrists at Erasme Hospital claiming that she was delusional and represented the possibility of harm to her child. All this on the basis of a conversation a nurse-midwife had with a friend and colleague, Dr. Horton, who had accompanied Ms. Vritschan to the hospital for the birth. In addition, Ms. Vritschan was then subjected to a series of extraordinary abuses which included being dragged from her hospital bed in the Erasme Hospital Maternity Ward one day after her birth in the middle of the night, and escorted by police to another hospital Brugman Hospital for a supposed independent psychiatric assessment, after which, egregiously, she was forced to strip naked in front of a male guard and don a hospital gown, then locked into a room that held a bed with straps and no toilet, later being returned to Erasme and held in another virtual cell for a day before being transferred to the Psychiatry Ward and illegally medicated with anti-psychotic drugs. Despite a hearing after a week finding Ms. Vritschan free of mental illness, her baby continued to be held by Erasme Hospital, with a separate judge from the Juvenile Court ruling in December that the child continue be held at Erasme until both mother and baby enter a mother-baby psychiatric clinic in February. These events and more were reported here earlier in press releases from the Joint Investigation Team, of which this writer is a part. In-depth coverage in an article as well as updates on the latest developments will be released shortly. In all this, it should be noted twice-over that this entire debacle and atrocity involving the kidnapping of a baby from her perfectly healthy and mentally competent if not intellectually superior and highly responsible mother was achieved by the work of the psychiatrists at Erasme Hospital, as well as the midwife and gynecologists at Erasme who turned Melanie over to psychiatry. Because this story pointing to punitive and political psychiatry, collusive hospitals, and the covert hand of Intelligence agency sabotage of ICATOR’s important work continues to unfold, it will continue to be reported here. Given the stealth nature of the radiation weapons and implantation methodologies involved, and the fact that these non-consensual experiments may be conducted on pretty much anyone in society by casually putting them under surveillance—while bumping up counter-terrorism budgets and naming pretty much anyone a terrorist at will—Ms. Vritschan discusses the need to raise public awareness about these crimes. She also discusses previous and continuing efforts in establishing legislation to ban the use of remote manipulation weapons at the European Parliament, an important step for Europe to take in stepping forward to protect its citizenry instead of letting them be exploited and predated on by Intelligence agencies. Of course, these steps need to be taken in the US and other countries as well. In continuing her vitally-needed human rights advocacy as she works for humanity to establish legal protections for all from invasive covert crimes, Melanie Vritschan continues to display extraordinary strength and resilience in the face of continuing adversity. Because ICATOR seeks to protect all humanity in this new time-period where technocrats are charging ahead without concern for ethics in their transhumanist rollouts of Artificial Intelligence, Robotics, Cybernetics, Synthetic Biology and other new sciences as well as deadly and secret weapon systems, really, all of us have a stake in protecting and supporting the work of ICATOR. If you would like to help support ICATOR and ensure that Intelligence agencies cannot randomly implant citizens on whim, randomly put innocents under surveillance, and randomly human-traffick them into deadly military and other silent-weapons-testing and neurotechnology projects, please visit ICATOR’s fundraising pages and make a donation, or become a member and contribute via the membership fee. All are welcomed as members, not merely reporting victims. In this fight we all find ourselves in against the depredations and exploitations of Surveillance, we need to get real about the treasonous activities of the Deep State and start supporting each other and humanity at large with sincere effort. Many thanks to Melanie Vritschan for her trailblazing leadership and her resolute and persisting efforts in working as a human rights champion through ICATOR to protect humanity.